Crews also put additional sensors on NV Energy lines to monitor any faults in the system, in particular the line that runs to Goodsprings. UPDATE JUNE 19: Sandy Valley has not experienced an outage since Friday but NV Energy is monitoring ahead of excessive heat this week. 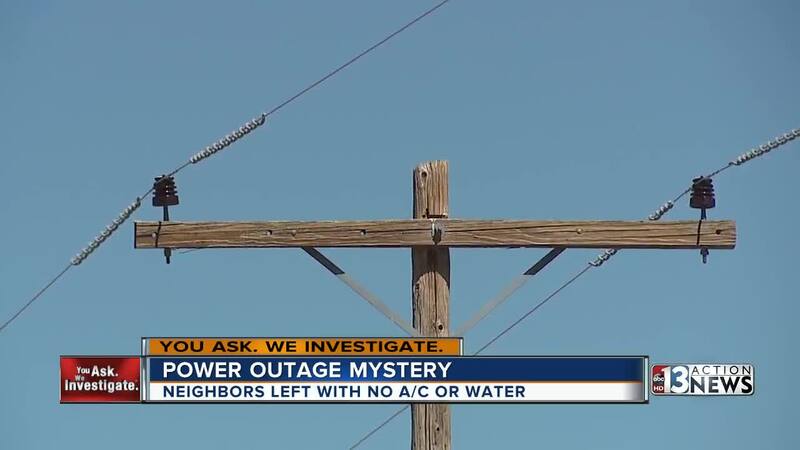 NV Energy told 13 Action News that they have reason to believe the outages in Sandy Valley are happening on sunny, high-heat days. They predict another outage may happen Wednesday after 1:30 p.m. when temperatures above 100 degrees are forecast. NV Energy has equipment in place to help determine the cause of the frequent outages. If an outage does occur, NV Energy says customers should not be out of power for more than 30 minutes. A large portable generator has been installed to serve customers if any outage event is expected to be longer than 30 minutes. No air conditioning. No water. A small community is suffering in triple-digit heat. But NV Energy isn't sure why. Neighbors living in the Sandy Valley area are used to the rural life but nothing like this. The power goes out around the same time every single day and remains that way for hours on end. The electricity returns only to shut off again. It's been a week of outages. 13 Action News reached out to NV Energy, which says it's unacceptable. But the power problem is a mystery. 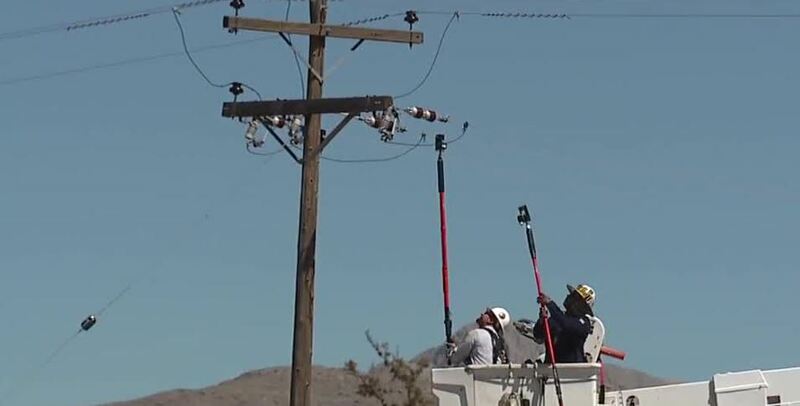 NV Energy crews are working to determine if the problem is on its line or if equipment in Sandy Valley is causing the issue. Crews also put additional sensors on NV Energy lines to monitor any faults in the system, in particular the line that runs to Goodsprings. NV Energy told 13 Action News they plan to bring a portable generator to serve as a fail-safe to provide Sandy Valley power in case they find an issue on their line.